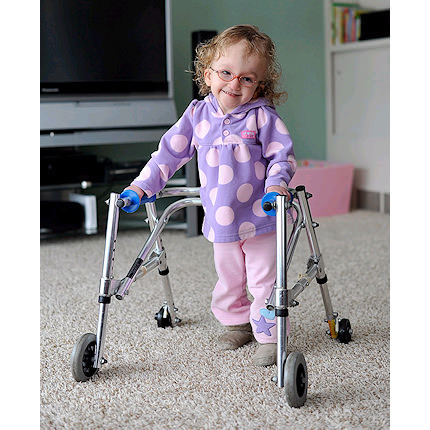 Kaye small child posture control walker is designed to make walking less energy consuming, improve alignment and maximize potential for walking. 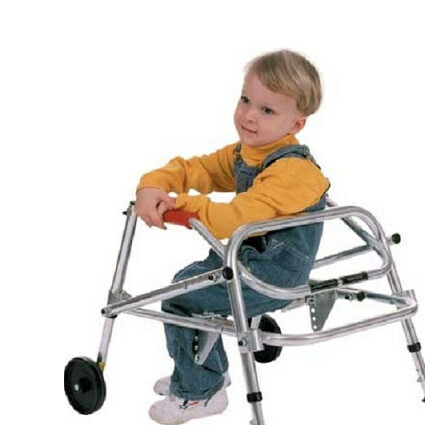 Posture control walker encourages your child to remain upright due to the placement of the support behind the child. 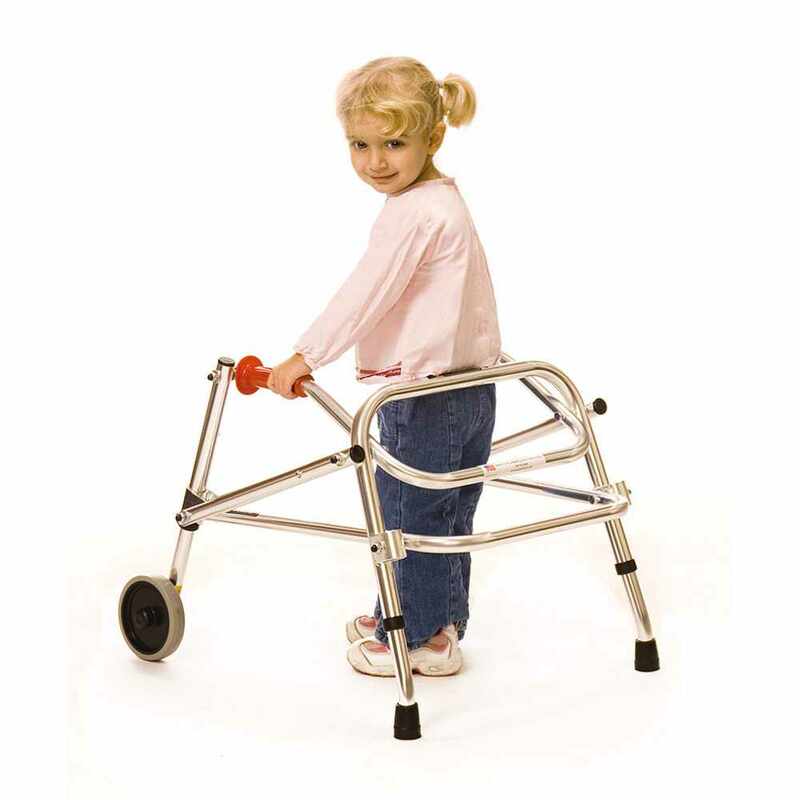 Small Child Walker is designed to promote improved alignment and increases functional walking mobility for users. Posture Control Walkers fold for easy storage and transportation. 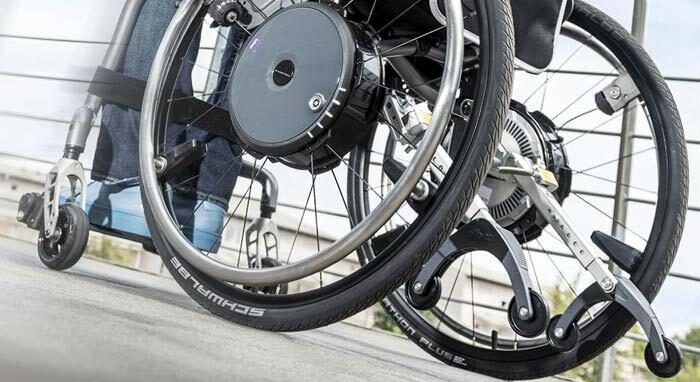 Kaye posture control walker's rear crutch tips (2 wheeled walker) provides extra drag for users who cannot manage a walker that rolls forward as they shift their weight forward. 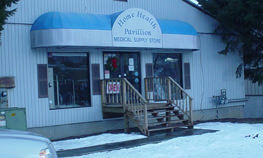 Kaye small child walker facilitates postural alignment, balance and components of gait. 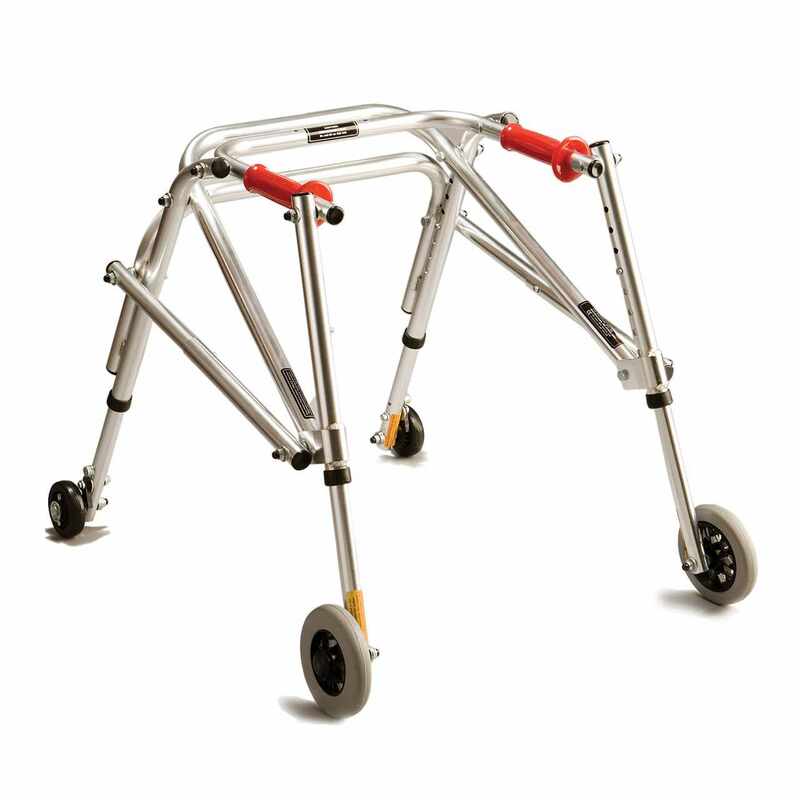 The walker is available in silver frame only. Height to top of handle (floor to mid-buttocks) 14½" - 20"
Height to top of handle (with rear wheels) 14½" - 18½"